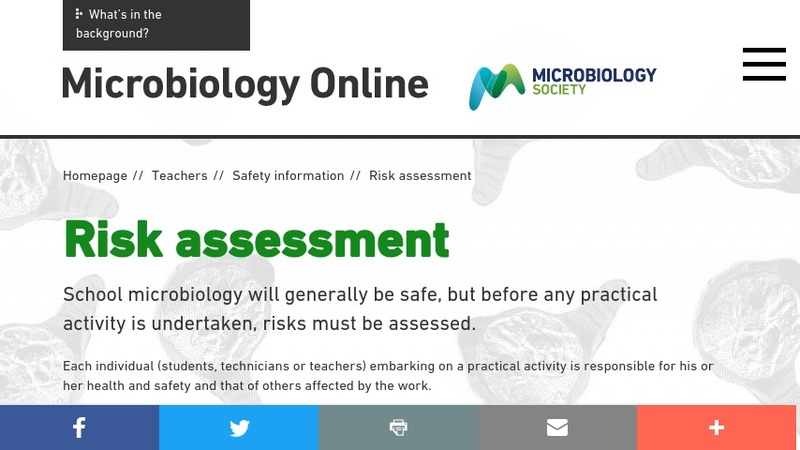 This 6-page online safety form lists microorganisms that are considered suitable for use in schools and colleges. It includes a table that describes selected bacteria and fungi which present minimum risk given good practice. Fields of the table include microbe name, educational use/interest/suitability, and ease of use/maintenance. The document also addresses the use of viruses, algae protozoa (including slime molds), and lichens in the classroom. A group of microorganisms that were previously suggested for use in schools but are no longer considered suitable are also listed.